An impressive Pinot Noir from the Yering Station vineyard with the relatively cool climate of the Yarra Valley coming through in spades. I agree with Willy, purity, elegance and concentration. Raspberry, plum, cinnamon and oak aromas. The palate is smooth and structured with ripe and juicy fruit of red berry cranberry with spice, complemented by smooth tannins followed by a lovely long finish. 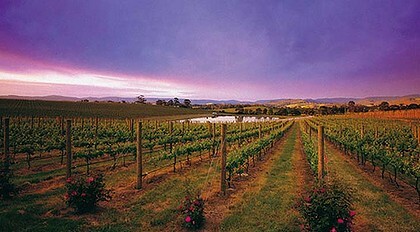 If the French ever thought Australia couldn't do good Pinot Noir, think again.